Turnaround Management Association (TMA) is an international association of over 9,000 members and 50+ chapters around the globe. Their membership is a professional community dedicated to turnaround management and corporate renewal. Its diverse membership is committed to a common goal: to stabilize and revitalize corporate value. TMA was using a legacy website for about eight years before working with Unleashed Technologies. 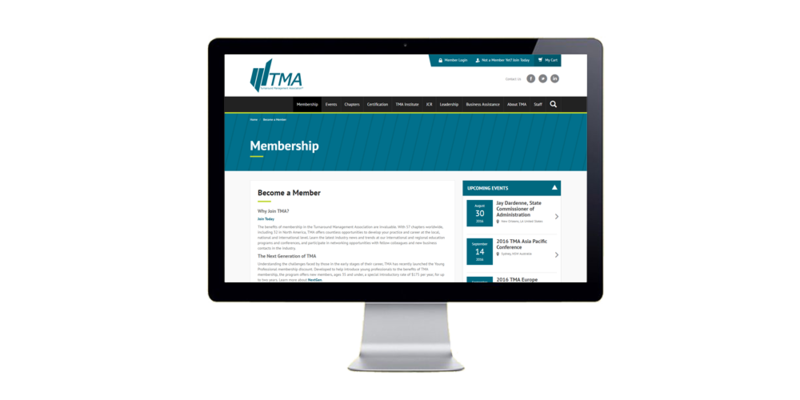 The legacy site was poorly integrated with TMA’s membership database, event registration, and other systems which turn made site administration very inefficient. 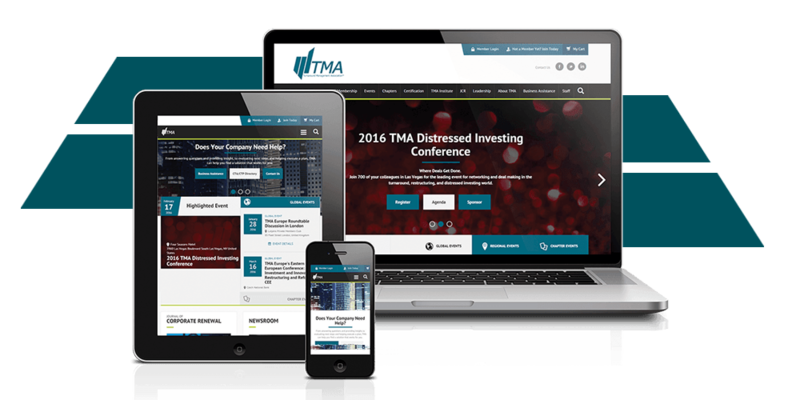 TMA collaborated with Unleashed Technologies and Bates Creative to develop a new site that would be easier to manage, optimized for mobile, and that would give the association’s local chapters greater freedom to manage their own content. 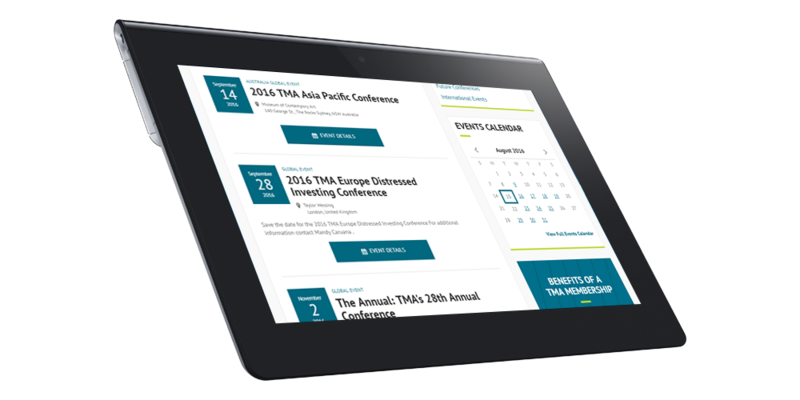 One of TMA’s goals of the initiative was to utilize a suite of tools that was going to be more contemporary and provide more options for content and information for both its Global office and for its local chapters. Unleashed Technologies solution empowers the individual chapters to design their own pages, menus and content. These efforts previously required support from a vendor or our Global staff. Using the new tools suite, TMA can go in an entirely different direction. Local chapters can recap events, photos and media and better tell their individual stories. The feedback thus far has been very good from the chapter administrator users and their volunteer member boards of directors. The next phase will include making some improvements on the back-end side empowering customers to transact within the site as quickly and as easily as possible. One of the most important elements of the design was to make sure that it was a responsive design. All content and images resize and render well on whatever device or browser the visitor may be using whether it’s a PC, tablet, or mobile phone. Unleashed Technologies prided themselves on being very responsive to us. They showed the ability to understand the technology involved and designed a solution that serves many needs, audiences and wants - global entity, chapters, members and other customer visitors.